Target market identification, by definition, is the method used to sort potential clients for sales and marketing campaigns, advertising and promotions using income, demographic, and lifestyle characteristics of a market and census information. This method is managed in several ways depending on the products and/or services that are the main focus of a business. 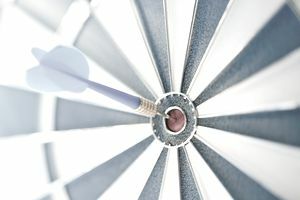 Target market identification begins with a study of where sales and marketing efforts produce the maximum results. For example, a law firm mainly offers legal services. However, many law firms specialize in certain types of legal issues. It presents the best picture of target market identification because it specifies where potential clients exist. It is also true for products that are sold to the public. Another example of this is a major food producer of food and beverages. Although the business may have several products, its sales and marketing planning focuses on particular target markets for each product. Thus, they may study target markets for each product to finely hone the scope of their target market identification. Defining sources where products and/or services are most likely needed. Researching the volume of products and services sold and used over a broad demographic area. Studying sources of raw materials that are required to produce products or services. Identifying major competitors to determine the location of target markets. The key to identifying a target market lies with defining specific sources where products and services are most needed and also most used. For example, a business that sells hand tools would identify large residential areas and small repair businesses that are most likely to purchase hand tools. Take notice that grocery stores are located in areas of high visibility, high consumer traffic, and within a short distance from large residential complexes. To properly identify target markets, it is necessary to perform thorough market research on the volume of products and services sold and used over a broad demographic area. As an example, the marketing research group of a large corporation provides data that provides past, present and future volumes of products and services nationally or, if applicable, internationally. It is important to know the quantities and volumes of goods and services sold to facilitate identifying the most advantageous sales and marketing regions. When a product-oriented business knows the source of raw materials, they also identify the users of these raw materials. It is also a way of identifying competitors for market share and those that may represent their greatest competitor for the target markets. Once businesses know the definition of target market identification, the job of market research opens a wider window of opportunity.